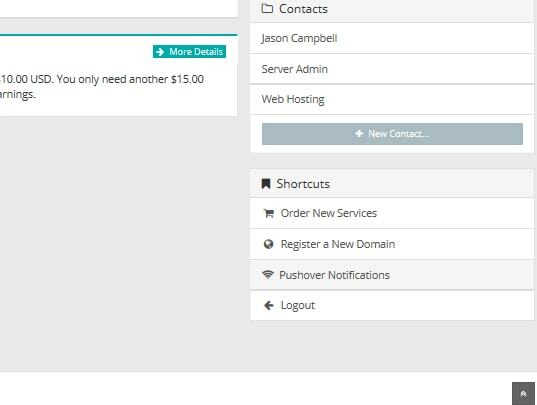 This article will describe how to get Pushover Notifications for Rad Web Hosting updates to your invoices, tickets, and other important information. Pushover applications are available for Android and iOS devices. Rad Web Hosting supports both operating system modules, which can be customized within your Hosting Dashboard. • Go to Pushover Notifications from your Shortcuts in the Hosting Dashboard Home Screen. • Click "Add Device" to proceed to the Notification customization. • Enter the User Key, which is found on your device's Pushover application. Customize the notifications you want to receive and provide an optional Device Name. • If this is correctly configured, you will now receive Pushover Notifications for each item seleceted in the module's configuration.